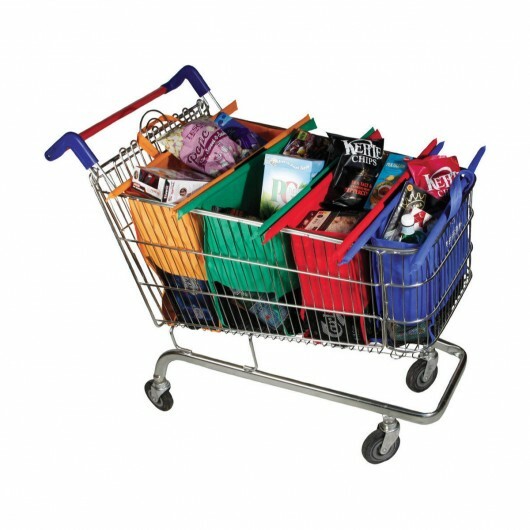 An innovative and easy way to organise your groceries for your next shop. With plastic bag bans now in effect throughout the majority of Australia these innovative shopping bags are a lifesaver when you're at the grocery store. Easy to setup and go, these 4 bags help to alleviate some of the stress of grocery shopping! The 4 coloured bags fan out to spread across the top of any supermarket trolley. These are costed with an air freight but can be done cheaper with a longer production time (8-10 weeks) - let us know if you're interested in this service!